LoveBook LLC, a Michigan Limited Liability Company doing business as "LoveBook Online®" or "LoveCoups®" (or otherwise known as "LoveBook"), provides a proprietary authoring system ("Services") that enables our customers, ie users, to choose and assemble text and graphics to create personalized books (ie "LoveBooks®," "LoveCoups®," "LoveCoups Products" or "LoveBook Products") worthy of sharing with people who matter. Our users utilize the Services to combine certain proprietary images, formatting, fonts, drawings, page layouts, design elements and other materials provided by LoveBook with custom verbiage and additional elements they introduce to create print ready content (the "Content") that LoveBook integrates into professionally printed and manufactured keepsakes, ie LoveBooks® or LoveCoups® coupon books, ready for shipping to fortunate recipients. We recommend that all users review these TOS frequently, with the understanding that LoveBook may update these terms from time to time. Please send questions or comments regarding these Terms of Service to tos@lovebookonline.com. LoveBook owns or otherwise controls the technology that enables users to create LoveBook or LoveCoups products as well as the library of proprietary graphic elements and illustrations users access when assembling LoveCoups or LoveBook Content (collectively the "Services"). Copyright, Trademark and other relevant intellectual property rights apply to all functionality of the Services and all such Content. When users create LoveCoups Content or LoveBook Content using the authoring functions of the Services, the resulting personalized material combines intellectual property owned by LoveBook with intellectual property created by the users, ie personalized text along with a unique selection and arrangement of materials from LoveBook's graphics database. 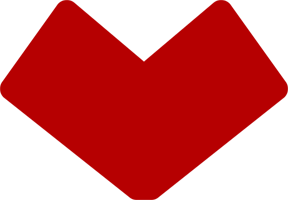 By accessing the Services and assembling LoveBook or LoveCoups Content, users agree to assign ownership to LoveBook of any portion of the Content they have generated using the Services, and understand that LoveBook will henceforth own and control all of the combined Content they have chosen, compiled, arranged and saved. LoveBook therefore reserves the right to integrate selected user-introduced or user-assembled Content, at its discretion, into its illustrations, graphic elements, text suggestions, marketing materials or social media postings. At all times, however, Lovebook will exclude personal information from such uses. When each user completes her or his preparation of LoveCoups or LoveBook Content and proceeds to request that LoveBook provide a printed book or other media format integrating such Content, LoveBook will grant them a license to this Content, limited to personal sharing of the media provided by Lovebook. This means that they can distribute this media to friends, family, partners or other contacts, solely for non commercial purposes and subject to any other limitations delineated at the point of sale. This license would include the right to request that LoveBook retrieve a user's previously saved Content in order to create and deliver additional copies of the media. LoveBook cannot warrant that it will retain all Content data indefinitely, but will accommodate such requests whenever possible. In any event, users may not offer for sale or commercially distribute LoveBook or LoveCoups Content, whether in printed Products or in any other media format, without explicit permission from LoveBook. LoveBook's brand names and logos such as the LoveCoups, LoveBook and LoveBook Online names, related logos and taglines, as well as additional names and graphic elements identifying its products and services or contained in its Content library, whether registered or unregistered, are owned by LoveBook LLC and are protected through application of U.S. Copyright and/or Trademark Law as well as the applicable laws of jurisdictions outside of the United States. Redistribution or replication of any part of the Services or related Content, user interfaces, imagery, verbiage, or any graphic, verbal or conceptual element of LoveBook's branding, including aesthetic 'look and feel' elements, is prohibited without our express written consent. Please send questions or comments regarding rights and responsibilities relating to LoveCoups or LoveBook Content, or requests for new content options (we like to help) to content@lovebookonline.com. LoveBook reserves all rights in the Services and LoveCoups or LoveBook Content accessed or assembled through the Services, except for the rights it grants to users permitting them to obtain and share customized LoveCoups or LoveBook Products, as governed by these TOS. Authorization to use the Services is obtained by users when they provide information required to create user accounts. cause injury to any person or entity. Users must further refrain from modifying, reverse engineering, copying, reselling or otherwise disseminating any component of the relevant Services or Content, or causing or permitting such activities, without specific authorization from LoveBook, outside of permitted personal sharing. Lovebook is continually working to assure that the technology comprising the Services functions optimally. However, we cannot control the imperfections of your computer, tablet, phone or other device, or influence your Internet service provider, cellular network, or the Internet itself, to operate flawlessly. Where LoveBook posts or otherwise makes use of comments or information provided by any user of our Services it declines to accept any responsibility for the quality or reliability of such content. ALL MATERIAL, FUNCTIONALITY AND INFORMATION COMPRISING THE LOVEBOOK SERVICES AND/OR CONTENT IS PROVIDED "AS IS" WITHOUT WARRANTY OF ANY KIND, EITHER EXPRESS OR IMPLIED, INCLUDING, BUT NOT LIMITED TO, THE IMPLIED WARRANTIES OF MERCHANTABILITY, FITNESS FOR A PARTICULAR PURPOSE OR NON INFRINGEMENT. IN NO EVENT SHALL LOVEBOOK BE LIABLE FOR ANY SPECIAL, INCIDENTAL, INDIRECT OR CONSEQUENTIAL DAMAGES OF ANY KIND ARISING OUT OF OR IN CONNECTION WITH THE USE OF THE SERVICES, WHETHER OR NOT ADVISED OF THE POSSIBILITY OF DAMAGE, AND ON ANY THEORY OF LIABILITY. UNDER NO CIRCUMSTANCES WILL LOVEBOOK BE RESPONSIBLE FOR DAMAGE, LOSS OR INJURY RESULTING FROM ANY FAILURE OF A USER'S SYSTEM SECURITY, AND/OR UNAUTHORIZED USE OF ANY USER ACCOUNT BY ANY THIRD PARTY. USER AGREES THAT IN NO EVENT ABSENT AN EXPLICITLY SUPERCEDING EXTERNAL AGREEMENT TO THE CONTRARY SHALL ANY LIABILITY OF LOVEBOOK (OR ANY OF ITS AFFILIATES, EMPLOYEES, AGENTS OR THIRD-PARTY PROVIDERS) EXCEED THE TOTAL AMOUNT OF FEES PAID FOR SERVICES AND PRODUCTS DURING THE YEAR PRIOR TO THE MAKING OF A CLAIM. OTHERWISE, USERS' SOLE AND EXCLUSIVE REMEDY FOR DISSATISFACTION WITH THE LOVEBOOK SERVICES, CONTENT OR PRODUCTS IS TO DISCONTINUE USE OF THE SERVICES AND CONTENT. Users are responsible for maintaining the confidentiality of any LoveBook or LoveCoups account they initiate or maintain, and for restricting related access to computers and/or mobile devices signed into accounts. Users agree to accept responsibility for all activities that occur in relation to accounts or passwords subject to their control, including but not limited to submitting completed Content for printing and delivery. Users who choose to include sensitive information in Content, such as phone numbers, postal addresses, emails, ID numbers or other information that could be used to identify any person, do so at their own risk. LoveBook reserves the right to refuse service, limit service or terminate any account, in its sole discretion. All data received via LoveCoups or LoveBook user accounts is protected by Transport Layer Security encryption (TLS 1.2 or its successor technologies). Moreover, the data comprising a user's Content exists in dissociated, non personally identifiable formats until the user requests delivery of a printed Product incorporating that Content. Only at that point is the data manifest as recognizable page images. Page images to be printed in Products are viewed by LoveBook staff and service providers only to the extent required for systems optimization, quality control and other internal analysis. After print operations are completed, content related data that contains viewable images or personally identifiable information is routinely deleted. LoveBook, at its sole discretion, may (but does not promise to) retain content related data indefinitely, but only in its original dissociated form without viewable images or personally identifiable information. User assembled Content is not generally accessed by LoveBook staff or associates except 1) where a user provides explicit permission, 2) as required for quality control, internal analysis, data recovery or technical support, or 3) when required or permitted by law, such as during an emergency, disaster recovery operation or evidentiary inquiry sanctioned under legal authority. Users always have the right to view records pertaining to their own accounts, including any personal information that may be associated with their accounts, or to delineate limits on transmission and retention of such information, by making such requests to privacyshield@lovebookonline.com. Users may at any time delete their accounts by logging into their account and following deletion instructions. Deleting an account will make it impossible to review account history, view previously created Content or request additional copies of previously ordered Products. LoveBook will generally refrain from selling, licensing or otherwise providing personal information to any third party, and may be liable for onward transfer of such data except where 1) we are explicitly authorized by a user to share specific information and 2) such dissemination is otherwise lawful, or 3) where we are required to disclose personal information in response to lawful requests by public authorities based on law enforcement or national security requirements. LoveBook reserves the right to use Internet Protocol addresses, ie "IP addresses," to analyze trends, administer the Services and associated websites, maintain tools and features, track user activities, improve Services and gather broad demographic information for aggregate use. IP addresses will not be utilized in a manner that delineates personally identifiable information. Additionally, for systems administration, detecting usage patterns and troubleshooting purposes, our web servers may log certain non-personal access information including browser type, access times and requested or referred URLs. This information is not shared with third parties and is disclosed among LoveBook personnel only to the extent it is necessary for operations and maintenance purposes. No individually identifiable information related to this data will be used in any other way unless Lovebook obtains users' explicit written permission. In compliance with the Privacy Shield Principles, LoveBook commits to resolve complaints about the collection or use of personal information. EU individuals with inquiries or complaints regarding the Privacy Shield policy should first contact LoveBook at privacyshield@lovebookonline.com. Users who do not receive a timely response to an inquiry or request may contact the EU Data Protection Authorities ("EU DPAs") for more information or to file a complaint. The services of the EU DPAs are provided at no cost. Under certain conditions, where dispute resolution procedures have not produced a satisfactory result (more specifically described at https://www.privacyshield.gov/article?id=ANNEX-I-introduction), EU individuals may be entitled to invoke binding arbitration. Pursuant to Article 27 of Europe's General Data Protection Regulation (GDPR), LoveBook has appointed the European Data Protection Office (EDPO) as its GDPR representative in the EU. Users may contact EDPO regarding matters pertaining to the GDPR by sending an email to privacy@edpo.brussels, using EDPO's online request form, or writing to EDPO at Avenue Huart Hamoir 71, 1030 Brussels, Belgium. Users shall indemnify and hold harmless LoveBook, its contractors and licensors, and their respective directors, officers, employees and agents from and against any and all claims and expenses, including attorneys' fees, arising out of users' use of the LoveBook or LoveCoups websites and Services, or other resources and Services provided by LoveBook, including but not limited to claims arising out of users' violation of these Terms of Service. By visiting any website provided by LoveBook and utilizing the related Services, users confirm their agreement that the laws of the state of Michigan, USA, without regard to principles of conflict of laws, will govern these Terms of Service and any dispute with LoveBook that might arise. Users further agree that in the event any user is engaged in a dispute with LoveBook which cannot be resolved through informal negotiation, before seeking resolution in any court of law, either party to that dispute must first attempt to resolve the matter cost effectively by retaining a mutually acceptable provider of mediation services for up to four hours of mediation sessions. Otherwise, where these more informal measures are not effective, the parties may seek traditional legal and equitable remedies in the appropriate Michigan courts. The following are the sole exceptions to the above legal venue and dispute resolution terms: In situations where LoveBook is required to seek an injunction or restraining order, or where a customer has not met payment obligations to LoveBook, LoveBook may seek legal remedies without prior negotiation or mediation. Also, privacy related matters affecting users residing in the European Union are governed by the above provisions regarding the Privacy Shield Framework and related Recourse Mechanisms. If any of these terms are deemed invalid or unenforceable for any reason, then the invalid or unenforceable provision will be severed from these Terms and the remaining Terms will continue to apply. Failure of LoveBook to enforce any of the provisions set out in these Terms of Service, or failure to limit or terminate any user's Services access for any length of time, shall not be construed as waiver of such provisions and shall not affect the validity of these Terms of Service, or the right thereafter to enforce each and every provision. These Terms of Service shall not be amended, modified, varied or supplemented in the absence of written notification by LoveBook. Please direct general inquiries or concerns regarding these Terms of Service to our address below or tos@lovebookonline.com. Otherwise use our contact form.